HONG KONG (AP) — A double-decker bus has crashed into a broken-down truck at the entrance to a harbor tunnel in Hong Kong, killing the drivers of both vehicles. 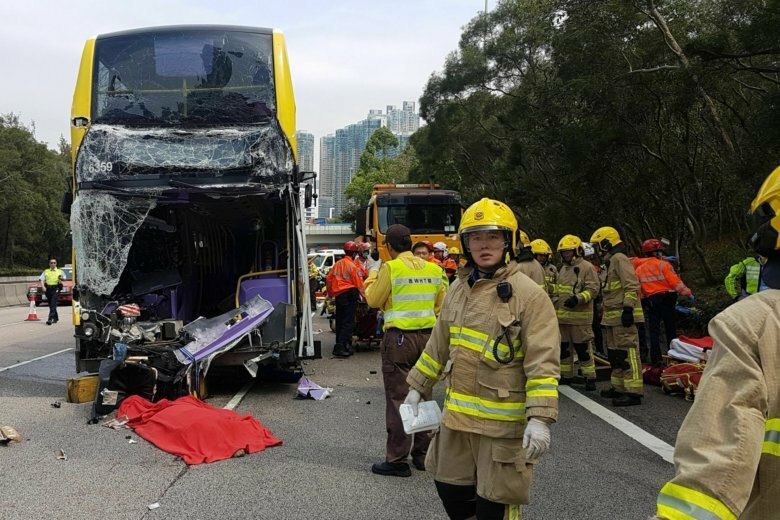 Along with the two fatalities, 15 people aboard the bus and one inside the truck were injured in Monday morning’s collision in the semi-autonomous Chinese region’s Kowloon district. Police said the 59-year-old bus driver, identified only by his surname, So, apparently failed to brake in time and slammed into the truck, which was sitting in a middle lane awaiting a tow truck. They said So had worked as a bus driver for 17 years, while the truck driver, identified by his surname, Lam, was self-employed. Police were investigating So’s physical state along with the bus’s mechanical condition. Crowded Hong Kong relies heavily on public transportation.